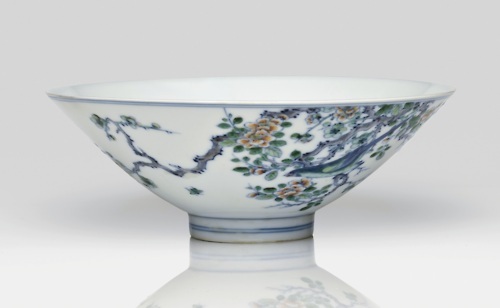 One of the most historically significant examples of Chinese porcelain was Yue ware, first produced in the Chinese province of Zhejiang in 2nd Century CE. 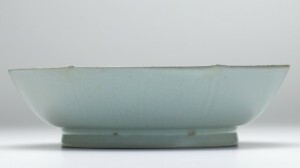 Yue ware is characterized by the glazed celadon finish and grey to olive green hues. Early vessels were typically minimally decorated but curvy and elegant in appearance. 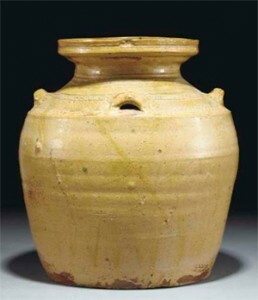 Yue ware can be attributed with developing and influencing virtually all of South Chinese ceramics varieties. The wares get their name from the Yue kilns in Northern Zhejiang, these kilns were the fastest developing of all celadon kilns – having the most sites, largest area of coverage and the best quality of products. 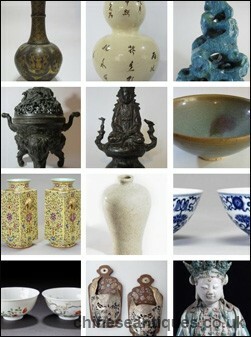 These kilns led the production and development of celadon in China. The name ‘Yue’ comes from the Tang Dynasty, which referred to the names of products by the locations of their kilns, in this case “Yue” was short for the city of “Yuezhou”. 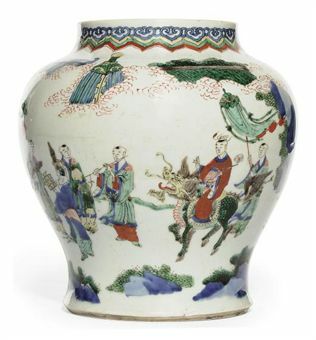 China is famous for its long history in producing ceramics, porcelain and other wares. One of the most celebrated is the Imperial Ru Ware which was made exclusively for the Chinese Imperial use. Wucai, which has its origins in the earlier Doucai ceramics, first appeared during the reign of the Ming dynasty Emperor Jiajing who ruled the Chinese empire between 1521 and 1567. 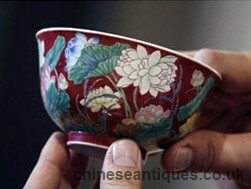 Its manufacture continued through the Ming dynasty until its demise in 1644, and into the succeeding Qing dynasty. Jingdezhen, often called the Porcelain City and is still producing fine ceramics today, was the main site of production for Wucai ceramics. Although Wucai can be translated as ‘five-colour’ the colours were not strictly limited to that number and the term is best understood as simply multicoloured. Sancai, meaning three-coloured, is a polychrome ceramic ware that was produced during the Tang dynasty which ruled China from 618 to 907 AD. Archaeological evidence shows that initially Sancai was exclusively manufactured for the Imperial elite who used the pieces as tomb objects. 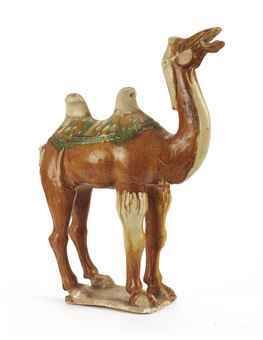 The original funerary pieces were often made in the form of animals such as camels and horses, as well as human figurines. The style is figurative and the lead-glaze is highly coloured. Other forms included a variety of vessels such as bowls, vases and incense burners, and these were often decorated with stylised flowers. Meaning, literally ‘contrasting colours’, or ‘compete for colour’, doucai was a porcelain enamelling technique perfected during the reign of the Chinese Emperor Xuande (Ming Dynasty, 15th century). This created wonderfully decorative pieces, true examples of which are rare but highly-prized by collectors. The contrasts in that description came during the firing process. A blue and white undegrlaze was first applied to the porcelain, when the pattern was sketched. Once this base had been treated in the kiln at high temperature, the previously outlined areas were filled with a variety of coloured enamels (typically red, yellow, green and aubergine). The porcelain was then fired again, at a lower temperature. The end result was a beautiful piece where the subtle underglaze and decorative overglaze appeared to compete for the observer’s attention.